The Dream Green team went on a quest to the oldest city in Iowa to learn why this river town has gained a reputation not only for its years, but its wisdom. The Natural Resources Defense Council named Dubuque a 2010 Smarter City for Energy because of the local government's initiative and follow-through in creating sustainable city projects. This episode of Dream Green will air in two weeks. 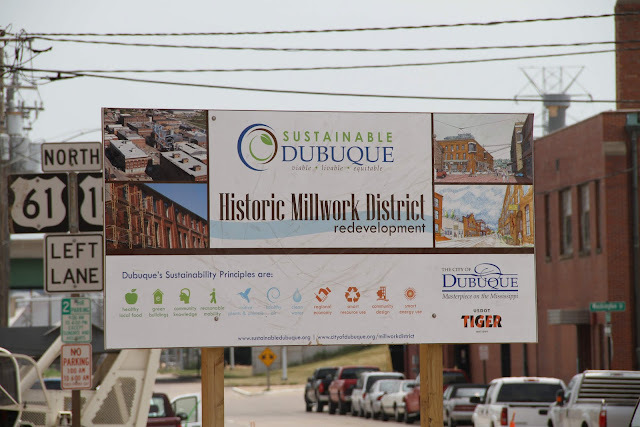 It will feature a tour of Dubuque's manicured downtown and of its historic millwork district in the midst of green transformation, guided by Mayor Roy Buol and sustainability coordinator for the city, Cori Burbach. If listeners want to find out who’s at the leading edge of creating a sustainable city, Dubuque has made its case and it’s pretty impressive. In the 1980’s Dubuque’s unemployment rate was higher than 20 percent, so the success they have had is not only about being nice to the planet but creating economic prosperity as well…. And that’s why they have other interested parties knocking on their door to learn from their expertise, which they are willingly, sagely, and wisely sharing with others. It’s very impressive, and really puts Dubuque on the map not only in the state but in the whole country. 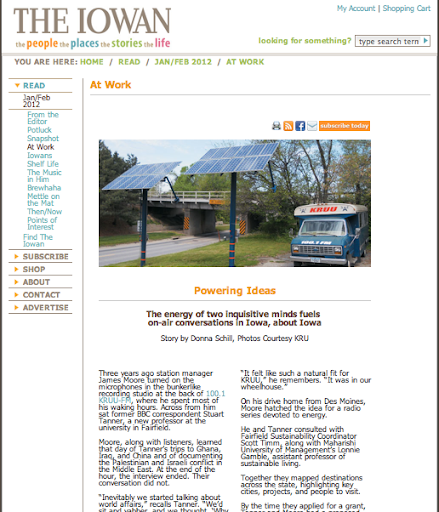 Read more about What makes a city smart?